Dr. Princewill is a Resident Physician in the Department of Diagnostic Radiology and Nuclear Medicine at the University of Maryland School of Medicine, Baltimore, MD; Dr. Awan is a Resident Physician at the University of Maryland School of Medicine, Baltimore, MD; Dr. Ali is a Resident Physician at the Christiana Care Health System, Newark, DE; Dr. Y. Awan is a Resident Physician at the George Washington University School of Medicine, Washington, D.C.; and Dr. Iliescu is an Interventional Radiologist at the University of Maryland School of Medicine, Baltimore, MD. Deep venous thrombosis generally develops within the deep veins of the lower extremities, but it can arise from pelvic or even upper extremity veins. In the mid-19th century, Virchow explained the etiology of DVT to include the triad of venous stasis, intimal injury, and hypercoagulability. Thus, risk factors for DVT include, but are not limited to, prolonged immobilization, such as with prolonged travel and after surgery, hypercoagulable states, neoplasm, pregnancy, and estrogen therapy. Genetic predisposition and advanced age (>50) are also associated risk factors. Once a thrombus is formed in the deep veins of the body, it is susceptible to embolizing into the pulmonary arteries. Systemic anticoagulation is the therapy of choice for all forms of DVT, and initiation of therapy can reduce the mortality rate from 30% to 8%,2 making PE one of the most preventable causes of in-hospital mortality. Common pharmacological agents utilized include heparin and warfarin. However, anticoagulation may be contraindicated in a subgroup of patients due to several reasons, including bleeding diathesis, active bleeding, recent major surgery, intracranial neoplasm, hemorrhagic stroke, and pregnancy. 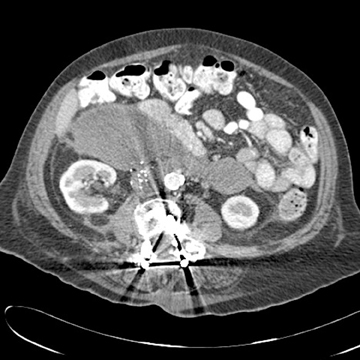 In these patients, placement of an inferior vena cava (IVC) filter is considered as an alternative in the prevention of PE.Additionally, IVC filters are indicated for patients who develop recurrent DVTs and/or PEs while on anticoagulants. Prophylactic use of IVC filters has also been advocated for patients at high risk for thromboembolic events, such as patients with chronic pulmonary hypertension. 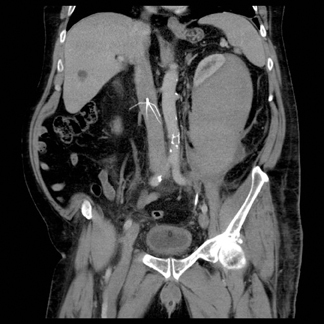 After proper clinical evaluation of the patient, additional laboratory and imaging studies are often required for complete evaluation prior to IVC filter placement. The presence of lower extremity DVTs can be assessed with ultrasound and peripheral venography. 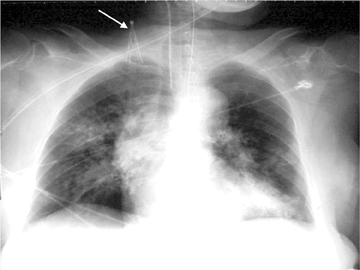 Pulmonary embolus is diagnosed with either a computed tomography (CT) scan or a ventilation-perfusion (VQ) scan. 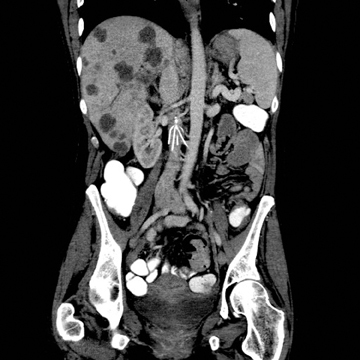 When available, CT or magnetic resonance imaging (MRI) is used for anatomic evaluation of the IVC to determine size, configuration, and anatomic variations. However, inferior venocavography, performed in an interventional imaging suite,is almost always utilized prior to filter placement. Laboratory tests, including prothrombin time, activated partial thromboplastin time, INR,and serum BUN/creatinine levels are also routinely obtained as part of initial evaluation. 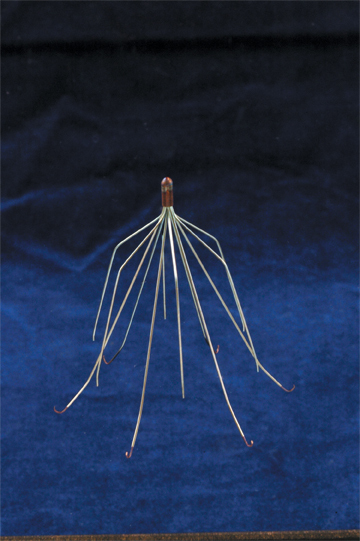 After introduction of the first IVC filter in 1973, several types of permanent and temporary filters have been developed. Historically,subsequent filter designs were made to improve upon their predecessors. Structurally, the filter should be durable, made of a biocompatible material that is non-corrosive and nonthrombogenic. 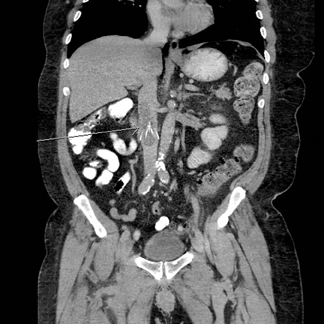 Also, it should be easily deployable, but it should not easily migrate and not perforate the IVC or adjacent tissues. When deciding which IVC filter to use, several important qualities of the filter must be evaluated. These include its inherent physical properties, clot-trapping effectiveness, ease of placement, and ability to preserve blood flow in the IVC. Ideally, a filter should trap most, if not all,thrombi to prevent PE. Even with incomplete deployment of the filter, reasonable clot trapping ability is desired. This review summarizes the general description, characteristics, efficacy, and complication rates of both permanent and temporary (retrievable/optional) inferior vena cava filters reported in the medical literature to date. Seven types of permanent IVC filters are described — all developed to replace surgical ligation clips and IVC clips in the prevention of PE. All are approved by the FDA. With few exceptions, most are generally introduced via the right internal jugular (IJ) or femoral vein. Most share similar complication rates (some more or less than others), including: damage to IVC and adjacent tissues, IVC thrombosis, insertion site thrombosis, filter migration, and filter limb fracture (Figures 1-8). The Greenfield filter is the most extensively reviewed and evaluated permanent filter. Introduced in 1973,16 this filter is made of stainless steel. It is conically shaped with the apical hub pointing cranially, and 6 stainless steel legs radiating caudally (Figure 9A). Although the initial filter was introduced via a 24F catheter, a smaller 12F delivery system was later developed and approved by the FDA in 1995. The efficacy of this filter has been reported by multiple authors. Greenfield, et al., reported only a 4% recurrence rate of PE out of 642 filters placed over a 20-year period.17 Athanasoulis, et al., reviewed standard Greenfield filters placed over a 26-year period, and demonstrated an 8.6%recurrence rate of PE out of 455 patients reviewed.18 The highest rates of filter thrombosis have been associated with this filter, due to the thrombogenic nature of stainless steel. Stainless steel also has ferromagnetic properties, which preclude evaluation with MRI. 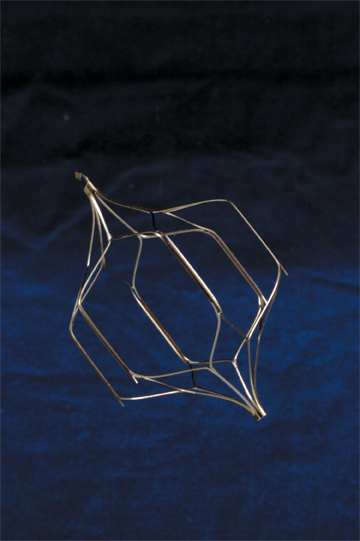 Introduced in 1989 as a lighter, nonferromagnetic, nonthrombogenic version of the Greenfield, this filter is made of titanium alloy and is also conically shaped with 6 radiating limbs (Figure 9B). The use of titanium permits resistance to flexion and corrosion. Efficacy rates similar to its stainless steel counterpart have been reported. Greenfield and Proctor demonstrated a 2.9% recurrence rate of PE in 373 patients observed over 13 years.19 However, higher filter tilt, migration, penetration, and crossing of filter struts have been reported with the Titanium Greenfield filter20 (Figure 1). The Vena Tech-LP was a new design approved by the FDA in 2001. It is also made from the nonferromagnetic metallic alloy, Phynox. 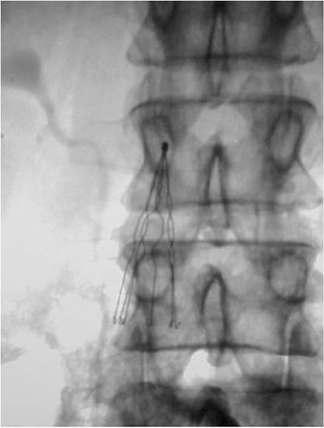 However, unlike the LGM design, it is made of 8 wires attached to 4 sets of inverted V-shaped adhering limbs(Figure 9C). It is introduced with a 9F sheath; thus, it is small enough to be placed via the antecubital approach in addition to IJ and femoral venous approaches. Reports of efficacy and complication rates are still pending for this relatively new filter design. The Bird’s Nest filter was introduced in 1982 and revised in 1986. It is composed of 4 long stainless steel wires, each of which is preshaped with many nonmatching bends of short radius. These wires are then attached to v-shaped struts, which anchor the filter to the cava wall25 (Figure 9F). 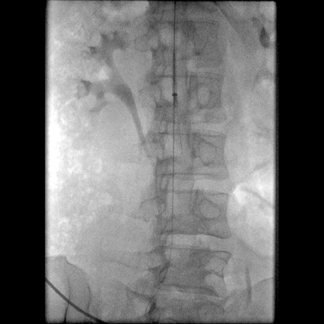 A later revised version allowed for a larger filter size (from an 8Fto a 12F catheter system), permitting placement into larger diameter IVCs. 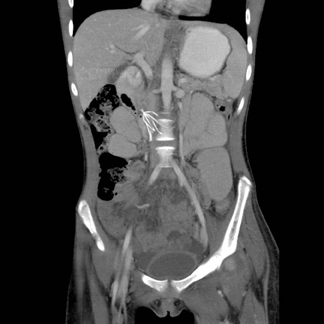 Advantages include lower rates of access site and IVC thrombosis.25,26 Although some studies have shown lower recurrence rates of PE (3%26 and 2.7%),25 a higher PE recurrence rate of 7% was demonstrated in a study by Athanasoulis, et al.18 Disadvantages include difficult placement and MRI incompatibility. Four retrievable IVC filters are described—all of which have been cleared by the FDA for use in the United States. With the exception of the OptEase filter, all have been cleared for use as permanent and retrievable filters. 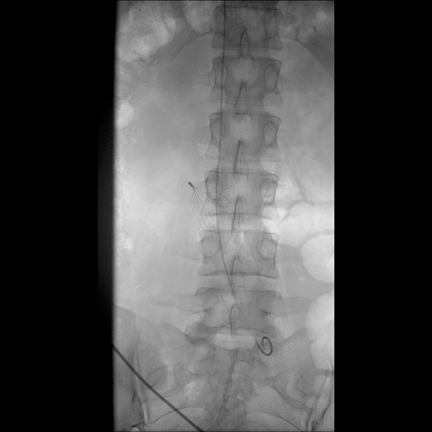 They are inserted via the femoral or right internal jugular approach, and they share similar complication rates with permanent filters. Their indications and contraindications are similar to those for permanent filters. However, as implied by their name, they can be retrieved following placement. Retrieval of the filters has been shown to be safe, with few immediate or late complications.28-31 Failures at filter removal are usually attributed to incorporation of the filter into the wall of the cava, significant filter tilt, and large clot burden. Removal of a filter once it has been incorporated into the vessel carries significant risk of traumatic bleed, and significant filter tilt makes it difficult to adequately engage the filter during retrieval. The FDA first approved the Gunther Tulip filter for use as a permanent filter in 2001, and later as a retrievable filter in 2003.32 This filter utilizes 4 struts, configured as a cross, that form a half basket with hooks at each end of each strut. These hooks attach the filter to the caval wall. There is a hook at the caudal aspect of the filter, which facilitates retrieval33 (Figure 10A). It is composed of a nonferromagnetic coni-chrome, which is MRI compatible, and is generally introduced via the right IJ approach. This filter was approved by the FDA as a retrieval/optional filter in 2002. It shares a similar design to the TrapEase (permanent) filter, and is made up of a single nitinol metal tube with a double basket design. 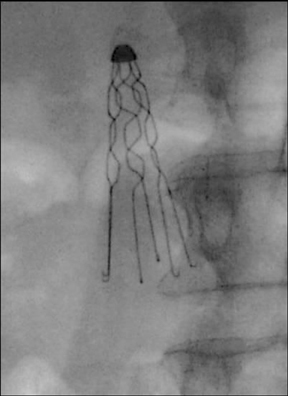 The basket-like configuration is connected by six straight struts between the proximal and distal ends.40 There are unidirectional barbs at the superior aspect of the 6 struts that aid in anchoring the filter in the IVC (Figure10D). 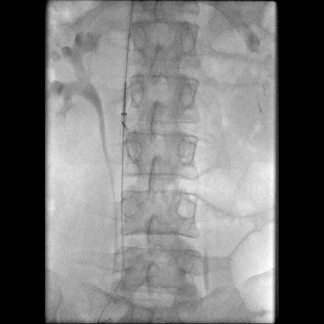 Once deployed, the filter imparts an outward radial force on the luminal surface of the cava to ensure appropriate positioning and stability.41 Unique to the OptEase is the option for femoral retrievability, which is facilitated by the unidirectional barbs and a hook at the caudal end of the filter.42 It is MRI compatible. The Celect filter, approved by the FDA in 2008, shares a similar design with the Gunther Tulip filter. Four primary struts serve as anchoring legs, along with 8 independent secondary struts that provide additional clot trapping capabilities (Figure 10E). 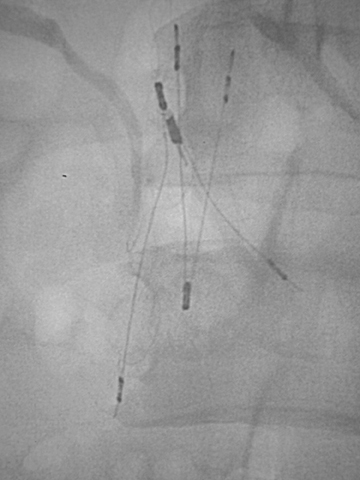 This configuration serves to center the filter and prevent tilt, and allows improved filter removal if any of the struts become incorporated into the IVC wall.35 Insertion is made either via the femoral or IJ approach. It is also MRI compatible. Pulmonary embolus resulting from DVT results in significant morbidity and mortality, resulting in the need for adequate prevention and treatment. Although systemic anticoagulation therapy remains the initial and most effective treatment, inferior vena cava filters play a pivotal role in preventive management in patients with established DVT and/or PE, as well as in adequate prophylaxis of patients at high risk of thrombosis. A variety of these filters are FDA approved and available today; most are relatively safe. Most filters placed within the past several years are designated as retrievable, although the vast majority of these have actually not been removed. The choice of using a particular filter should be made with careful consideration of the duration of intended use, inherent characteristics of the filter, and the associated complications. Tapson V, Humbert M. Incidence and prevalence of chronic thromboembolic pulmonary hypertension: From acute to chronic pulmonary embolism. Proc Am Thorac Soc. 2006;3:564-567. Sarani B, Chun A, Venbrux A. Role of optional IVC filters in surgical patients at risk for venous thromboembolic disease. J Am Coll Surg. 2005; 201:957-964. Crowther, MA. 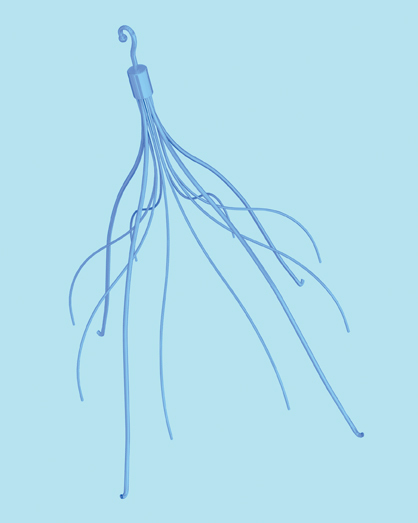 Inferior vena cava filters in the management of venous thromboembolism. Am J Med. 2007;120(10 Suppl 2):S13-7. Pieri S, Agresti P, Morucci M, de’Medici L. Optional vena cava filters: preliminary experience with a new vena cava filter. Radiol Med. 2003;105:56-62. Hoff W, Hoey B, Wainwright G, et al. 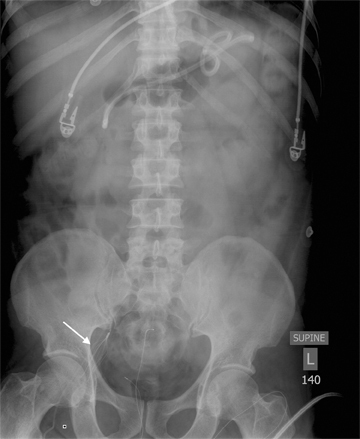 Early experience with retrievable inferior vena cava filters in high-risk trauma patients. J Am Coll Surg. 2004;199:869-874. Imberti D, Bianchi M, Farina A, et al. Clinical experience with retrievable vena cava filters: Results of a prospective observational multicenter study. J Thromb Haemost. 2005;3:1370-1375. Rosenthal D, Wellons ED, Lai KM, et al. Retrievable inferior vena cava filters: Initial clinical results. Ann Vasc Surg. 2006;20:157-165. Binkert CA, Sasadeusz K, Stavropoulos SW. Retrievability of the recovery vena cava filter after dwell times longer than 180 days. J Vasc Interv Radiol. 2006;17:299-302. Dentali F, Ageno W, Imberti D. Retrievable vena cava filters: Clinical experience. Curr Opin Pulm Med. 2006;12:304-309. Caronno R, Piffaretti G, Tozzi M, et al. 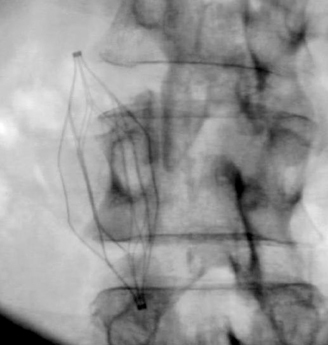 Mid-term experience with the ALN retrievable inferior vena cava filter. Eur J Vasc Endovasc Surg. 2006;32:596-599. Antevil JL, Sise MJ, Sack DI, et al. Retrievable vena cava filters for preventing pulmonary embolism in trauma patients: A cautionary tale. J Trauma. 2006;60:35-40. Stein PD, Alnas M, Skaf E, et al. Outcome and complications of retrievable inferior vena cava filters. Am J Cardiol. 2004;94:1090-1093. Meier C, Keller IS, Pfiffner R, et al. Early experience with the retrievable OptEase vena cava filter in high-risk trauma patients. Eur J Vasc Endovasc Surg. 2006;32:589-595. Ray CE, Mitchell E, Zipser S, et al. Outcomes with retrievable inferior vena cava filters: A multicenter study. J Vasc Interv Radiol. 2006;17: 1595-1604. Kaufman JA. Optional vena cava filters: What, why and when. Vascular. 2007;15:304-313. Greenfield LJ, McCurdy JR, Brown PP, Elkins RC. A new intracaval filter permitting continued flow and resolution of emboli. Surgery. 1973;73:599-606. Greenfield LJ, Proctor MC. Twenty-year clinical experience with the Greenfield filter. Cardiovasc Surg. 1995;3:199-205. Athanasoulis CA, Kaufman JA, Halpern EF, et al. 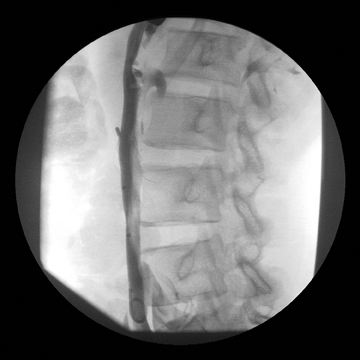 Inferior vena caval filters: Review of a 26-year single-center clinical experience. Radiology. 2000;216:54-66. Greenfield LJ, Proctor MC. Update on the Titanium Greenfield Filter and recommendations for insertion. Perspect Vasc Surg Endovasc Ther. 1998;9:41-46. Sweeney TJ, Van Aman ME. Deployment problems with the titanium Greenfield filter. J Vasc Interv Radiol. 1993;4:691-694. Reed RA, Teitelbaum GP, Taylor FC, et al. Incomplete opening of LGM (Vena Tech) filters inserted via the transjugular approach. J Vasc Interv Radiol. 1991;2:441-445. Murphy TP, Dorfman GS, Yedlicka JW, et al. LGM vena cava filter: Objective evaluation of early results. J Vasc Interv Radiol. 1991;2:107-115. Crochet DP, Brunel P, Trogrlic S, et al. Long-term follow-up of Vena Tech-LGM filter: Predictors and frequency of caval occlusion. J Vasc Interv Radiol. 1999;10:137-142. Poletti PA, Becker CD, Prina L, et al. 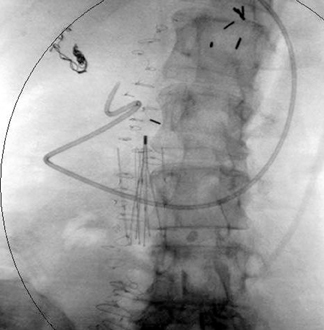 Long-term results of the Simon nitinol inferior vena cava filter. Eur Radiol. 1998;8:289-294. Roehm JO Jr, Gianturco C, Barth MH, Wright KC. 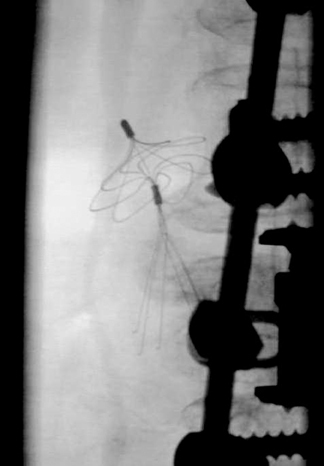 Percutaneous transcatheter filter for the inferior vena cava. A new device for treatment of patients with pulmonary embolism. Radiology. 1984;150:255-257. Wojtowycz MM, Stoehr T, Crummy AB, et al. The Bird’s Nest inferior vena caval filter: Review of a single-center experience. J Vasc Interv Radiol. 1997;8:171-179. Rousseau H, Perreault P, Otal P, et al. 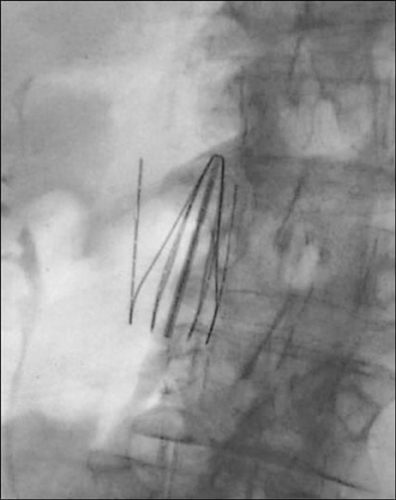 The 6-F nitinol TrapEase inferior vena cava filter: results of a prospective multicenter trial. J Vasc Interv Radiol. 2001;12:299-304. Millward S. Gunther Tulip retrievable filter: why, when and how? Can Assoc Radiol J. 2001;52:188-192. Asch MR. Initial experience in humans with a new retrievable inferior vena cava filter. Radiology. 2002;225:835-844. Morris CS, Rogers FB, Najarian KE, et al. Current trends in vena caval filtration with the introduction of a retrievable filter at a level I trauma center. J Trauma. 2004;57:32-36. Terhaar OA, Lyon SM, Given MF, et al. Extended interval for retrieval of Gunther Tulip filters. J Vasc Interv Radiol. 2004;15:1257-1262. Marquess JS, Burke CT, Beecham AH, et al. Factors associated with failed retrieval of the Gunther Tulip Inferior Vena Cava Filter. J Vasc Interv Radiol. 2008;19:1321-1327. Smouse HB, Rosenthal D, Ha TV, et al. Long-term retrieval success rate for the Gunther Tulip Vena Cava Filter. J Vasc Interv Radiol. 2009;20:871-877. Looby S, Given MF, Geoghegan T, et al. Gunther Tulip Retrieval Inferior Vena Cava Filters: Indications, efficacy, retrieval, and complications. Cardiovasc Intervent Radiol. 2007;30:59-65. Cantwell CP, Lynch FC. Caudal migration of a G2 filter during carbon dioxide cavography. J Vasc Interv Radiol. 2007;18:814-815. Oliva VL, Perreault P, Giroux MF, et al. Recovery G2 inferior vena cava filter: Technical success and safety of retrieval. J Vasc Interv Radiol. 2008;19:884-889. Woodward EB, Farber A, Wagner WH, et al. 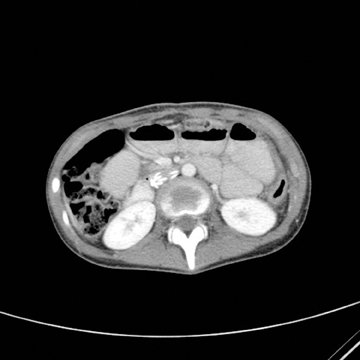 Delayed retroperitoneal arterial hemorrhage after inferior vena cava (IVC) filter insertion: Case report and literature of caval perforations by IVC filters. Ann Vasc Surg. 2002;16:193-196. Kim HS, Young MJ, Narayan AK, et al. A comparison of clinical outcomes with retrievable and permanent inferior vena cava filters. J Vasc Interv Radiol. 2008;19:393-399. Keller IS, Meier C, Pfiffner R, Keller E, Pfammatter T. Clinical comparison of two optional vena cava filters. J Vasc Interv Radiol. 2007;18:505-511. Streiff MB. Vena caval filters: A comprehensive review. Blood. 2000;95:3669-3677. Siskin GP, Kwan B. 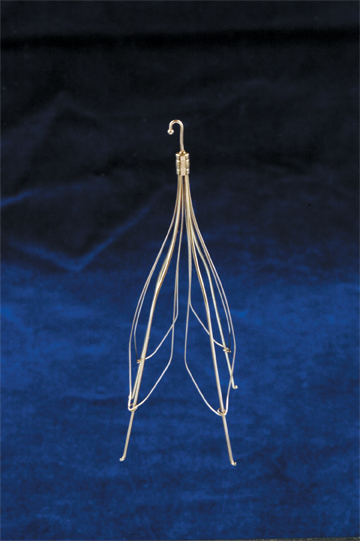 Inferior vena cava filters. eMedicine. 2009. Available at: http://emedicine.medscape.com/article/419796-overview. Rosenthal D, Swischuk JL, Cohen SA, Wellons ED. OptEase retrievable inferior vena cava filter: Initial multicenter experience. Vascular. 2005;13:286-289. Ziegler JW, Dietrich GJ, Cohen SA, et al. PROOF trial: Protection from pulmonary embolism with the OptEase filter. J Vasc Interv Radiol. 2008;19:1165-1170. Gaspard SF, Gaspard DJ. 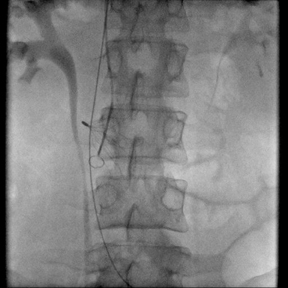 Retrievable inferior vena cava filters are rarely removed. Am Surg. 2009;75:426-428. Janne d’Othée B, Faintuch S, Reedy AW, Nickerson CF, Rosen MP. Retrievable versus permanent caval filter procedures: When are they cost-effective for interventional radiology? J Vasc Interv Radiol. Mar 2008;19:384-392. Kaufman JA, Kinney TB, Streiff MB, et al. Guidelines for the use of retrievable and convertible vena cava filters: Report from the Society of Interventional Radiology. Multidisciplinary consensus conference. J Vasc Interv Radiol. 2006; 17:449-459. 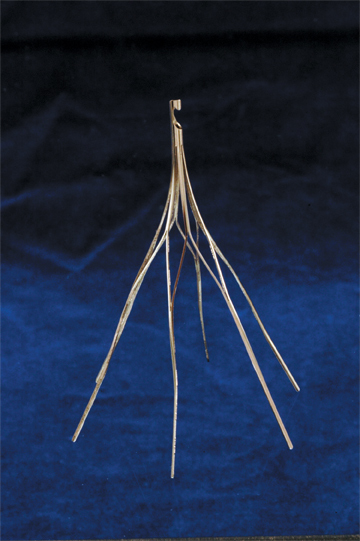 Inferior vena cava filters: A contemporary review. Appl Radiol.